Do you read online reviews? They’re a great tool when researching companies; kind of an online word-of-mouth tool. Reviews help people discover and learn about resources, products and services. At Steadfast Counselling, we’d like to help more people. That means having more people discover and learn about us! That’s where you can help. 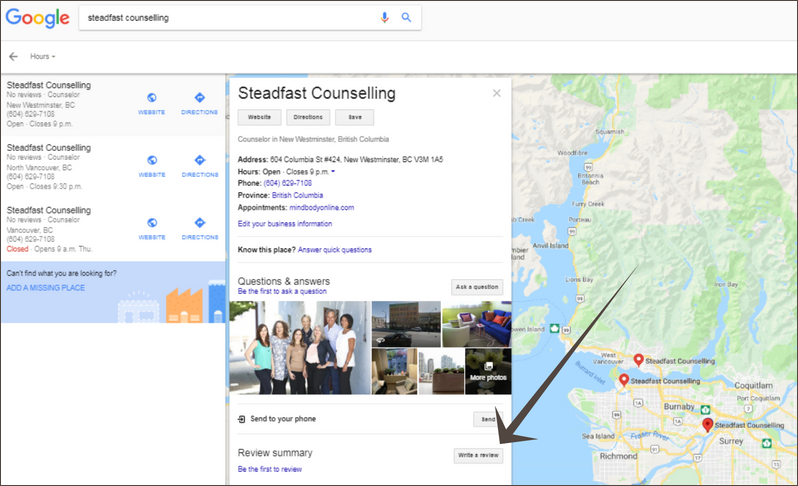 Please consider taking a few minutes to post a review of your experience with your counsellor and Steadfast Counselling on Google, Facebook and/or Yelp. It’s a fairly simple process that will help us help more people. We respect that some may want to offer a review, but also remain anonymous. In this case, please send a testimonial to your counsellor. This will be helpful to give others looking for counselling services an idea about the therapy experience with your counsellor and Steadfast Counselling. Any use of your testimonial in our communications will remove your identification. Thank you. We appreciate any and all testimonials, reviews, and feedback. Posting a review on Google requires being signed into your Google account. Follow the appropriate link below for the office location you attend. 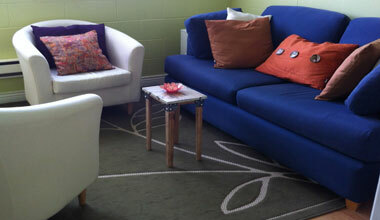 If you receive counselling remotely, please select our main office in New Westminster. 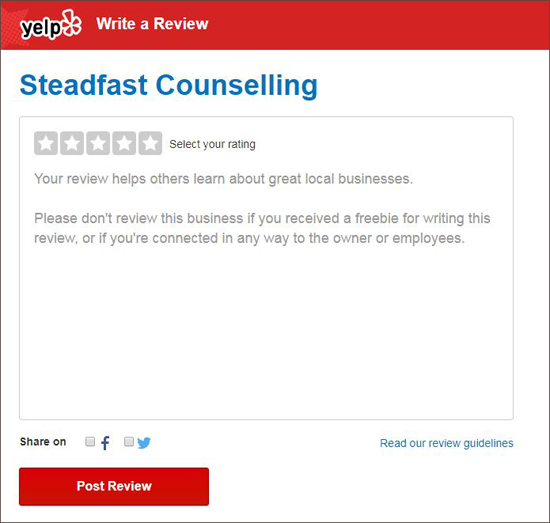 Then click the “Write a Review” link below the photos in Steadfast Counseling’s information panel. Click the grey stars to choose a rating. You can also write a review. Add a review to your rating. Sign into your Yelp account and go to the Yelp page for the Steadfast location you attend. Click on the red Write a Review button at the top of the page. Then click the grey stars to select your rating, and write your review. Consider helping more people learn about Steadfast Counselling by checking the boxes to share your review on your Facebook and/or Twitter account.